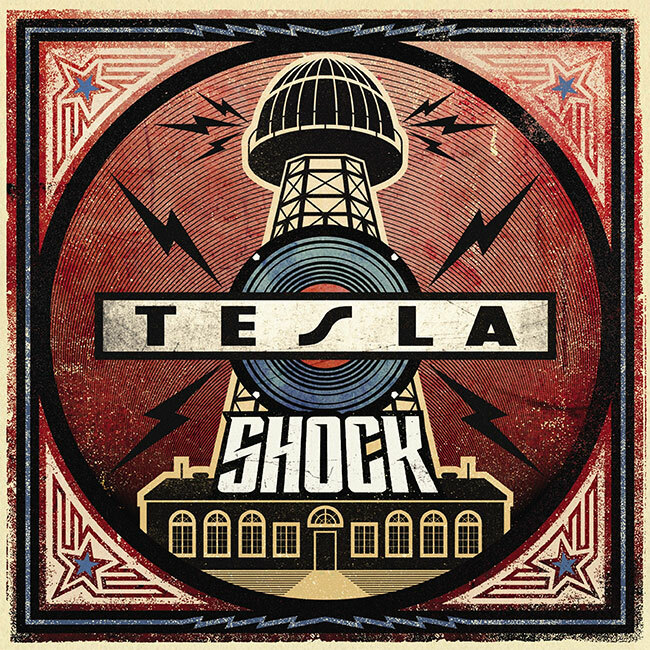 Tesla will release their new studio album, Shock, worldwide on March 8th via UMe. The album will be available on CD, black vinyl and limited edition translucent blue vinyl formats as well as digital. Its electrifying lead single, “Shock,” is available now for streaming and for immediate download with album pre-orders. Produced and co-written by Phil Collen (Def Leppard), Shock is Tesla’s eighth studio album. Tesla is actively touring across North America, Europe, and elsewhere around the globe throughout 2019. Album merchandise bundles that feature the CD, black and limited edition LP are available exclusively via the band’s website. T-shirt, mobile charger, keychain and hoodie options are available.